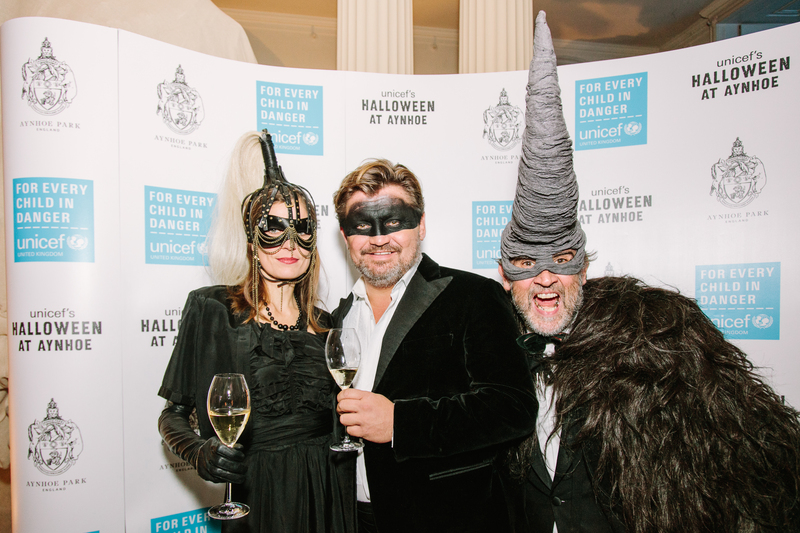 James and I were so honoured when we were asked to be on the UNICEF committee as this is a charity thats holds a special place in our hearts, having children of our own. Being a part of the amazing event was such a privilege, especially being able to host here at home. 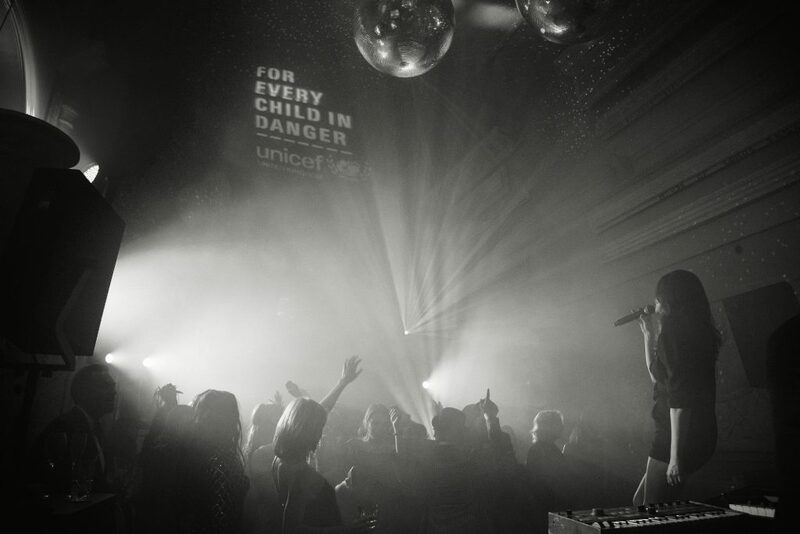 UNICEF raised over £300,000 with the help of so many people generous with their time. 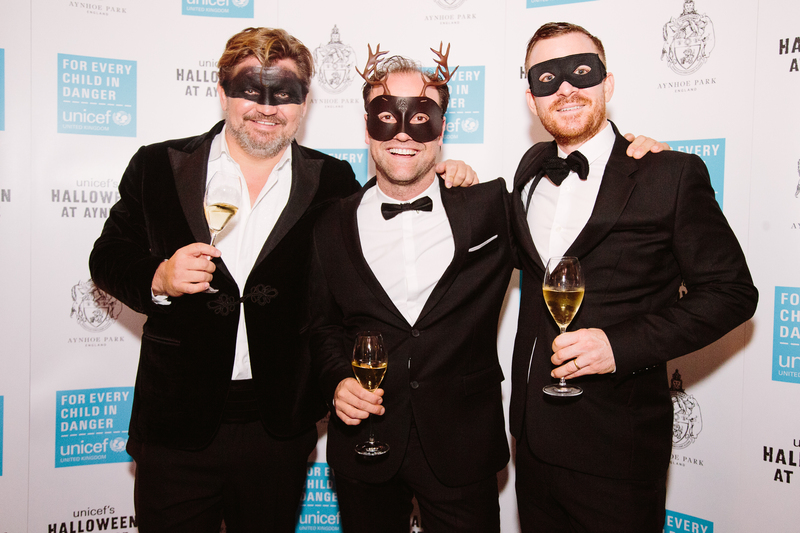 It was a pleasure as always to work with Marcus and Twysden of Adoreum and their team who were also on the UNICEF committee. 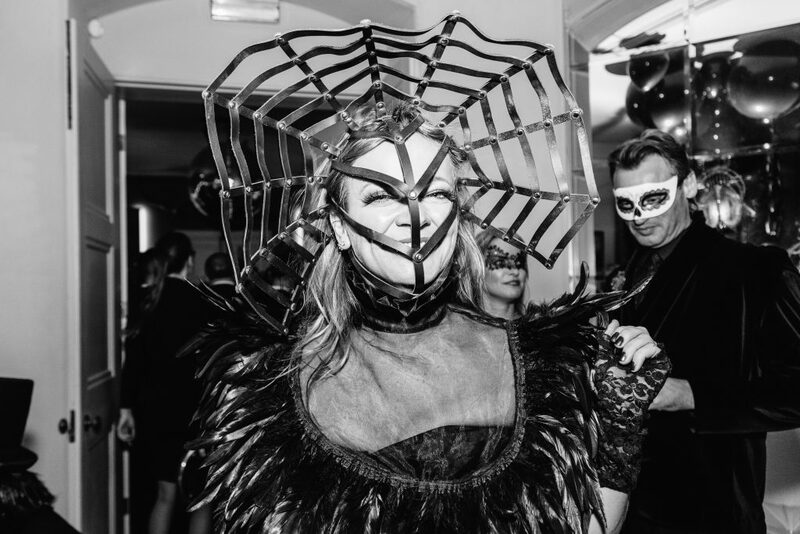 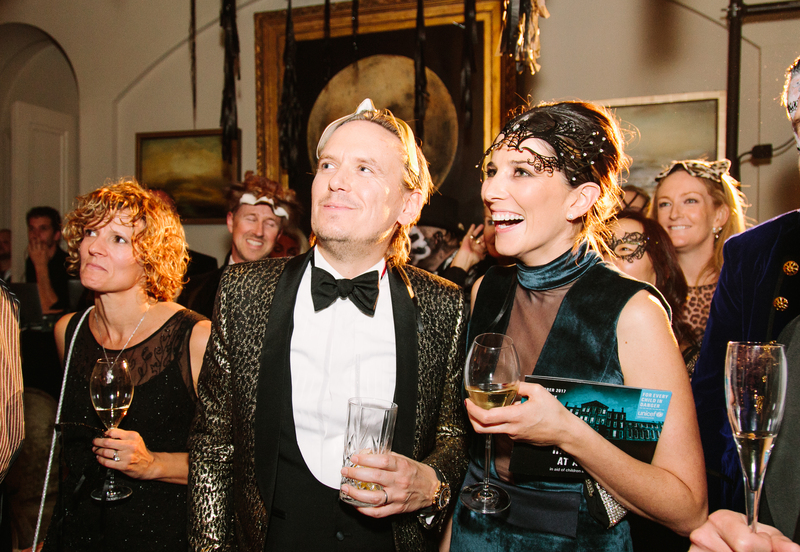 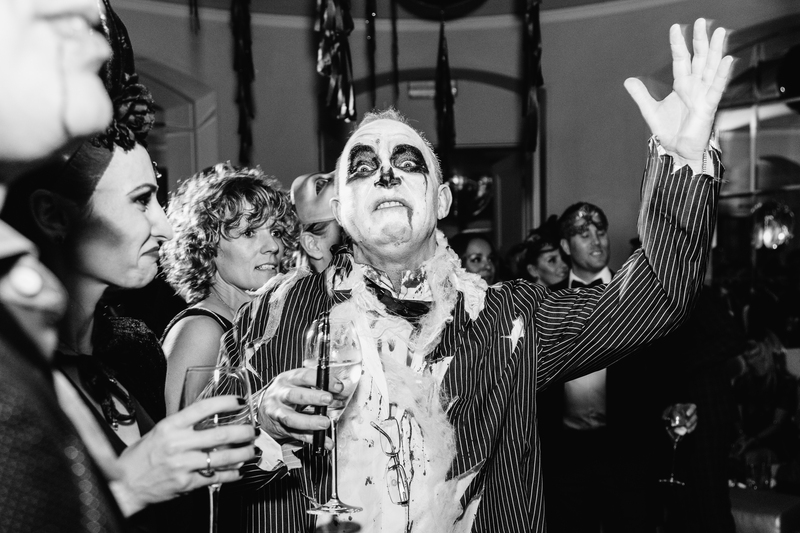 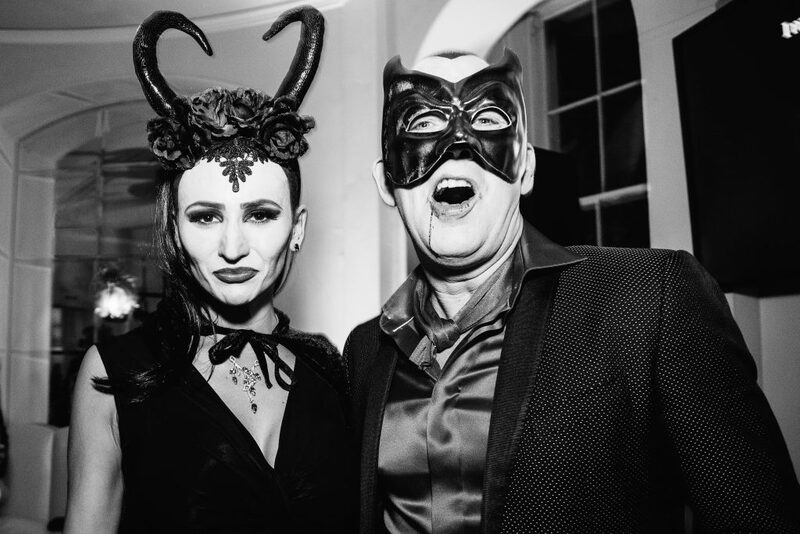 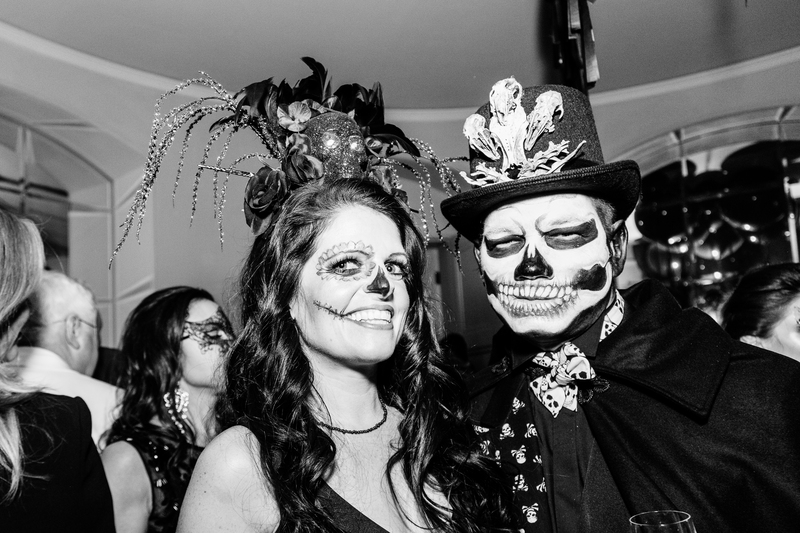 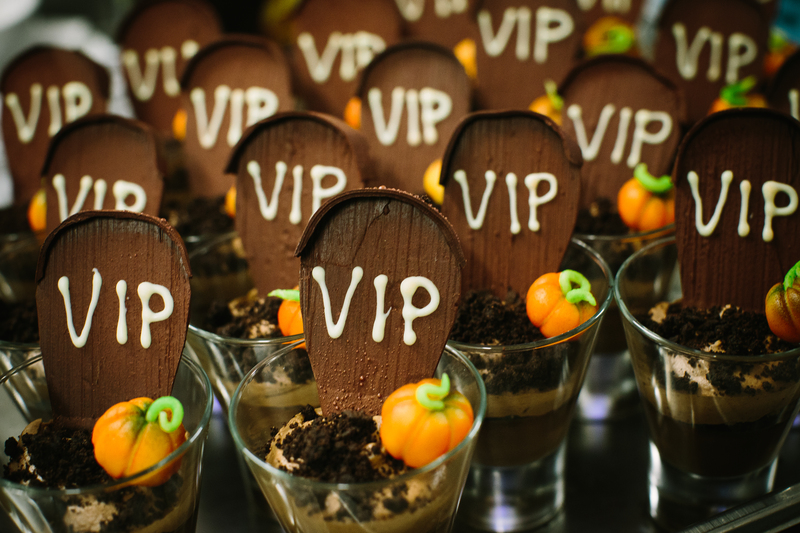 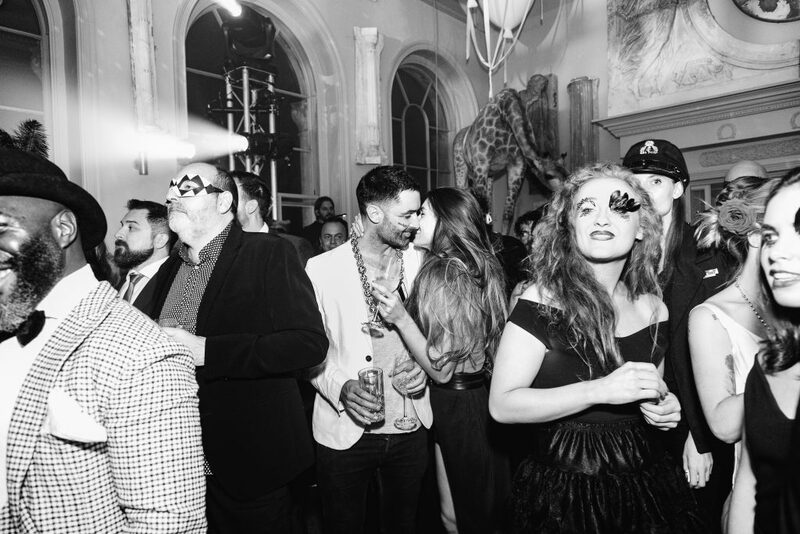 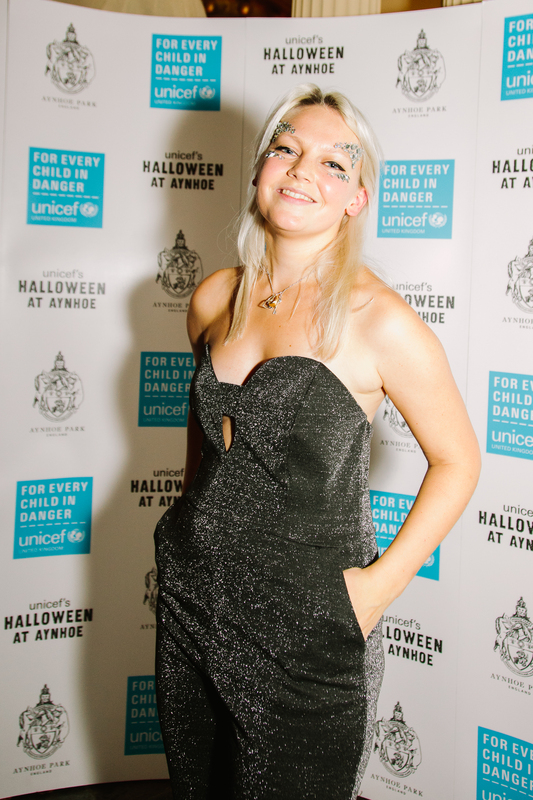 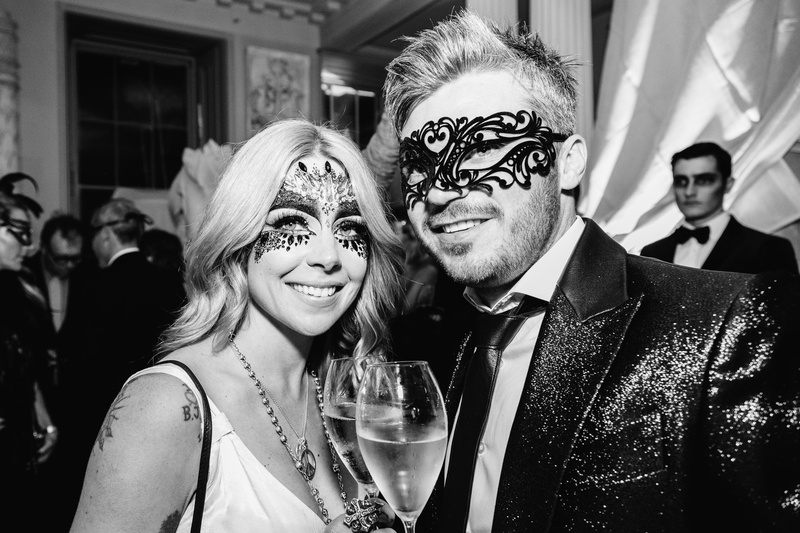 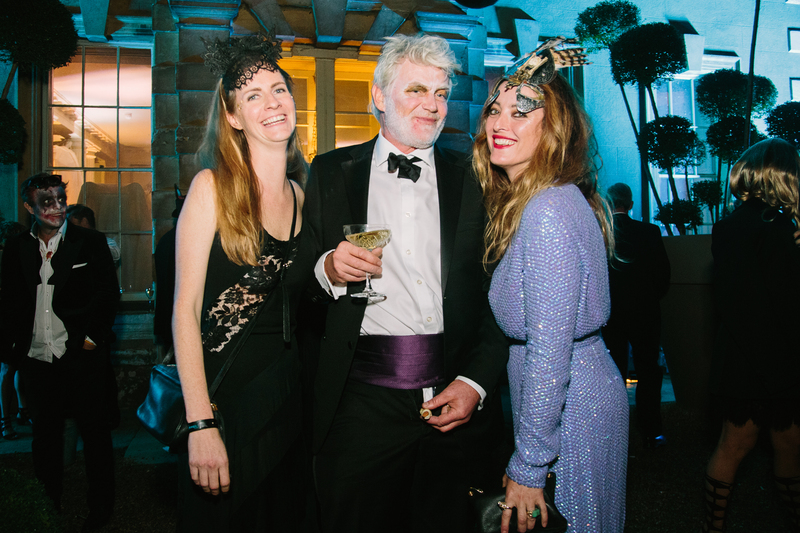 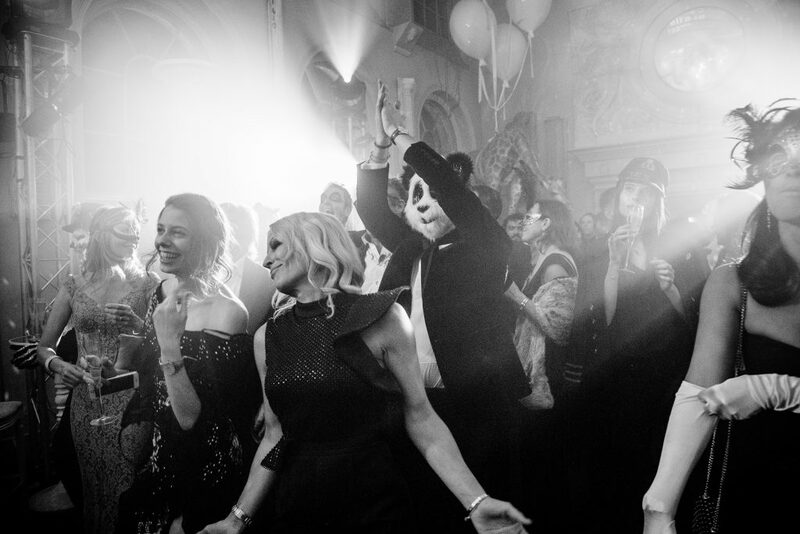 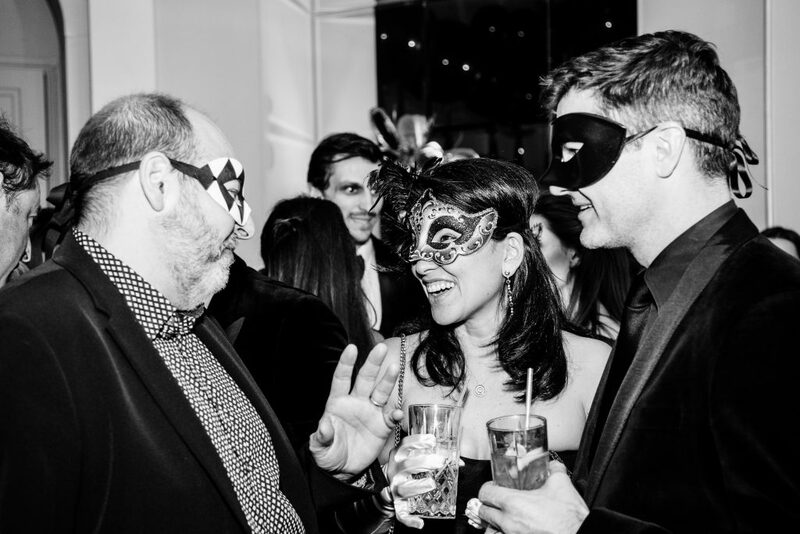 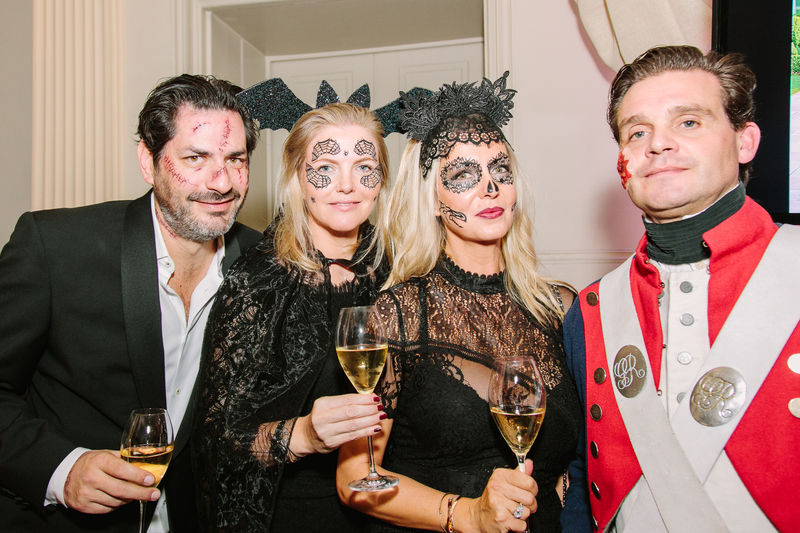 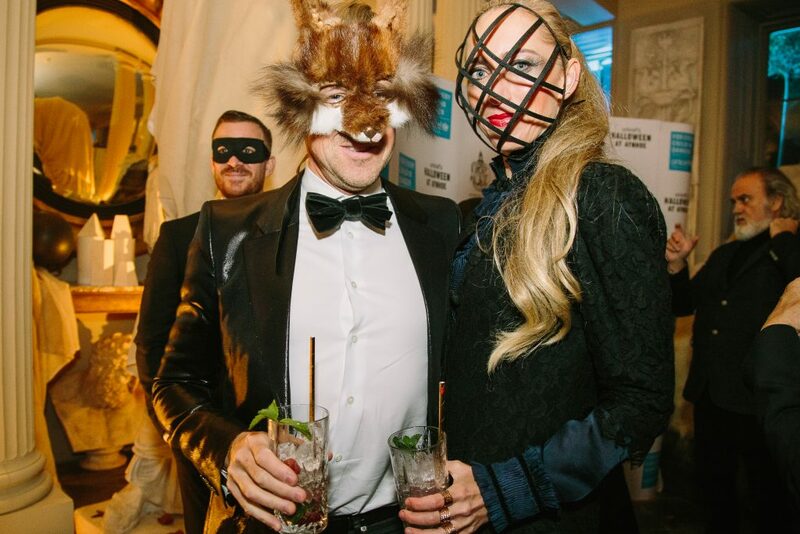 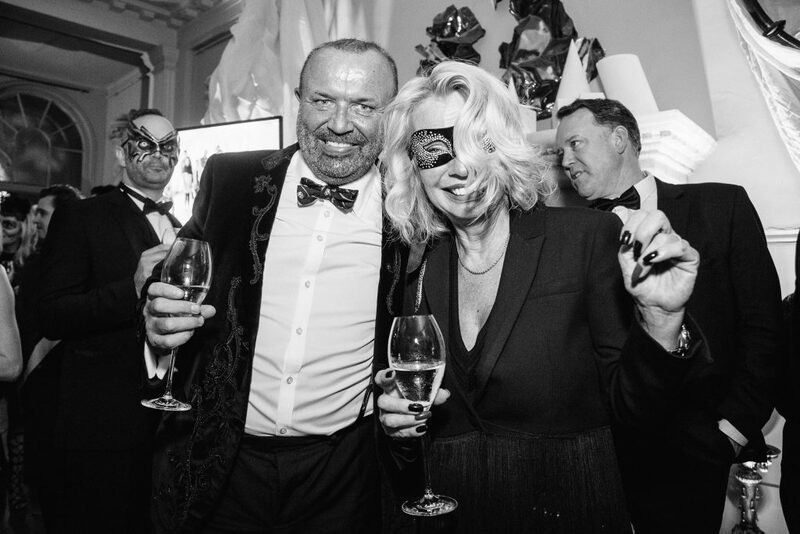 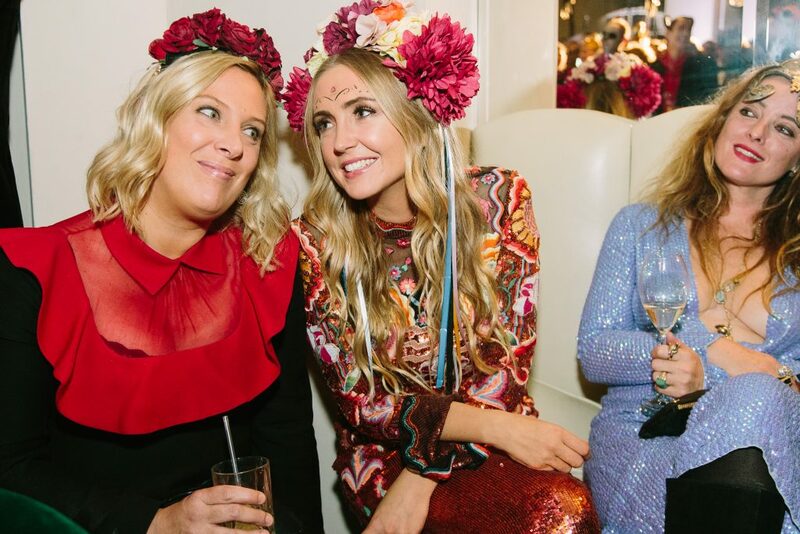 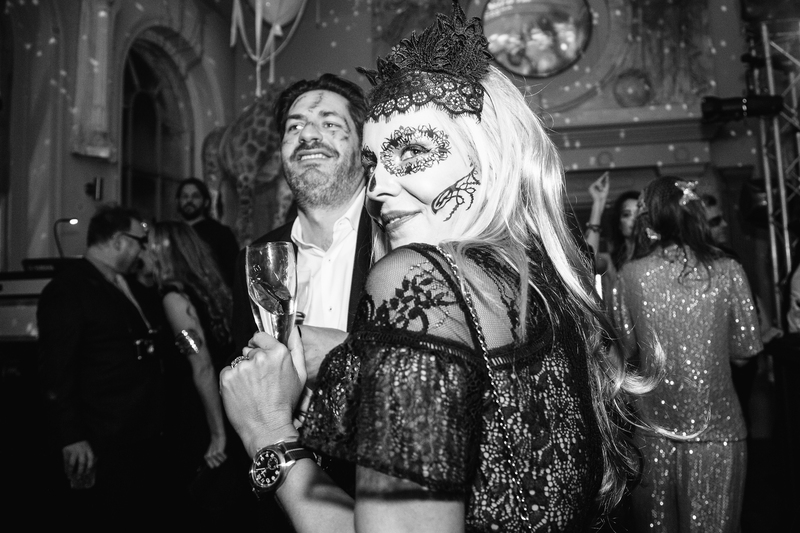 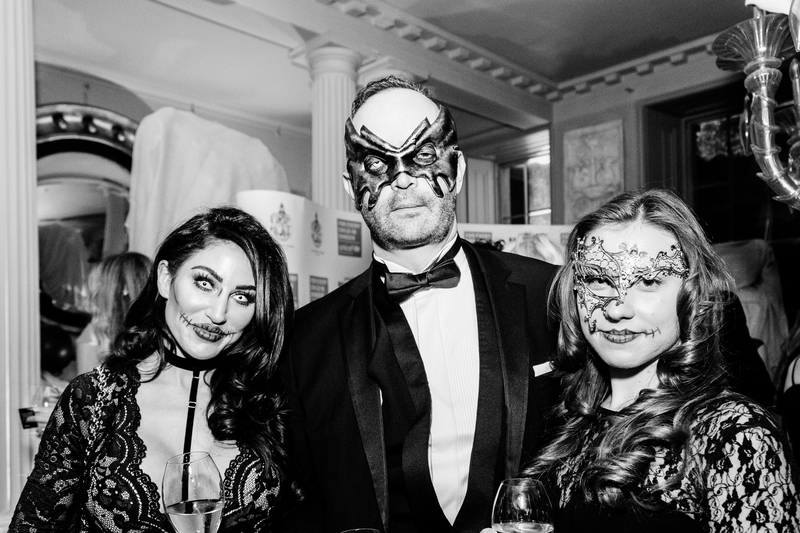 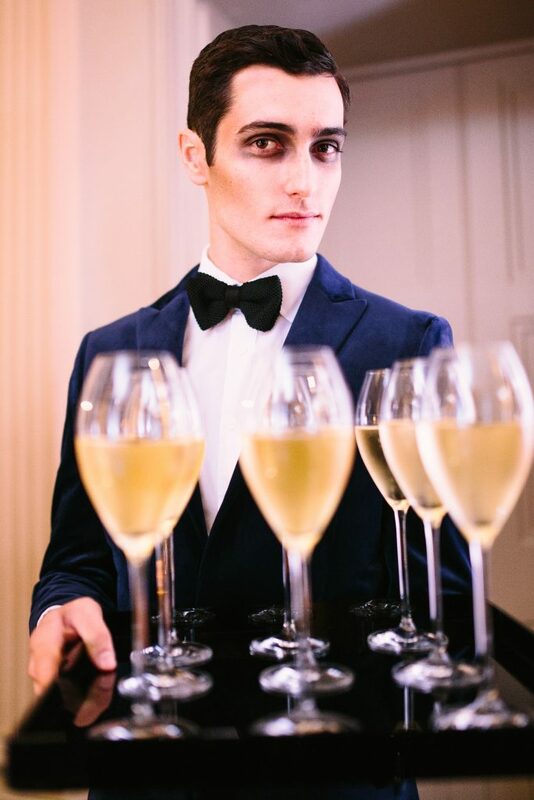 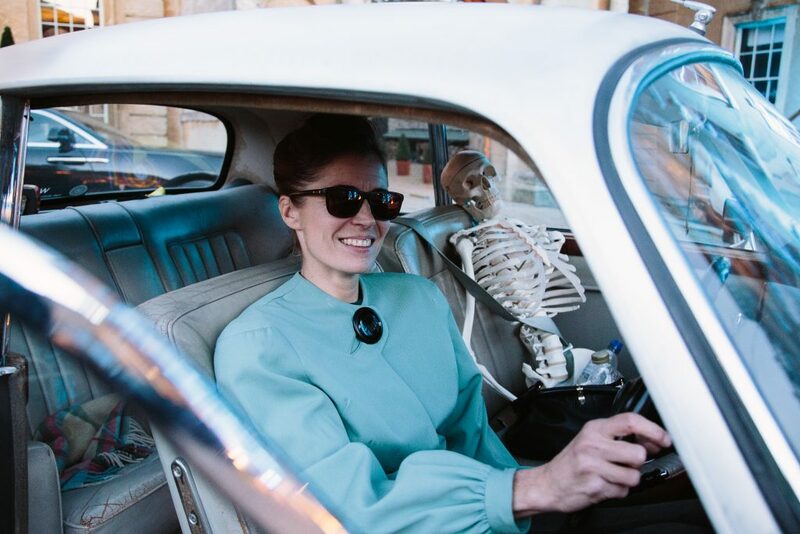 Those who wanted to celebrate halloween in style for this tremendous cause arrived to a blue UNICEF washed Aynhoe on Friday 27th, dressed in glorious gowns – smart black tie adorning masks and head-dresses… as on the invitation read; dress code – halloween chic. 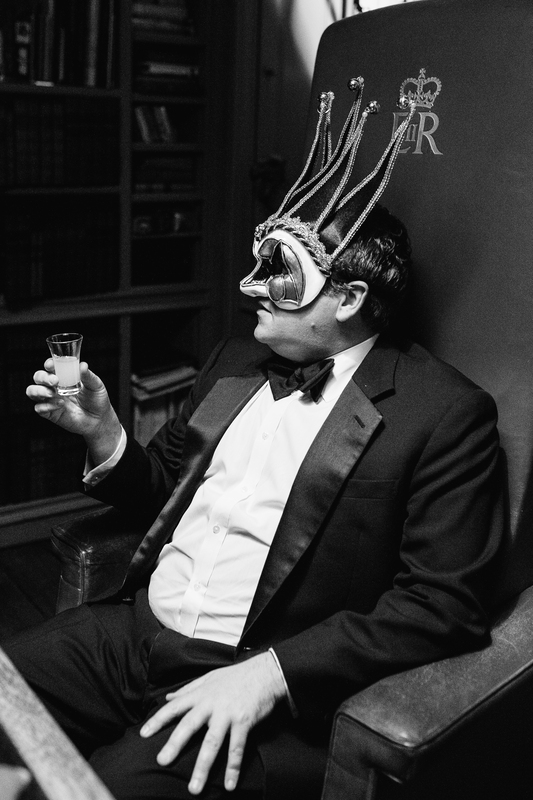 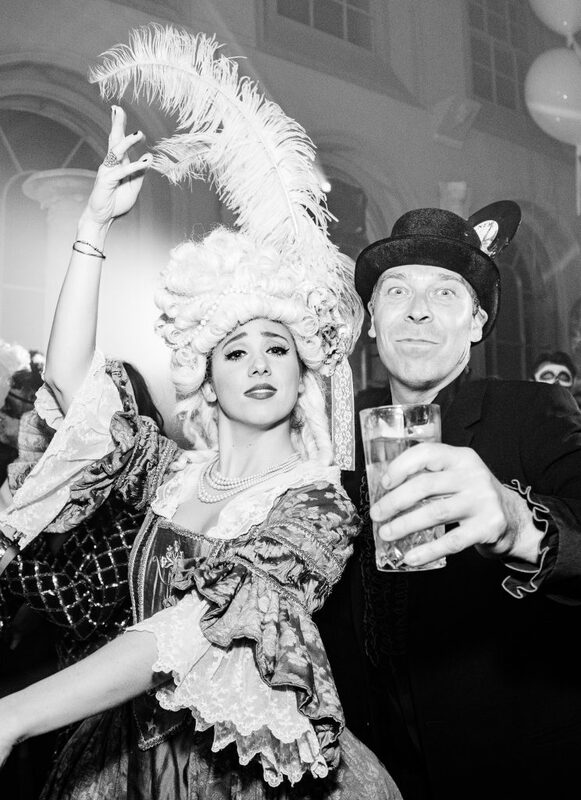 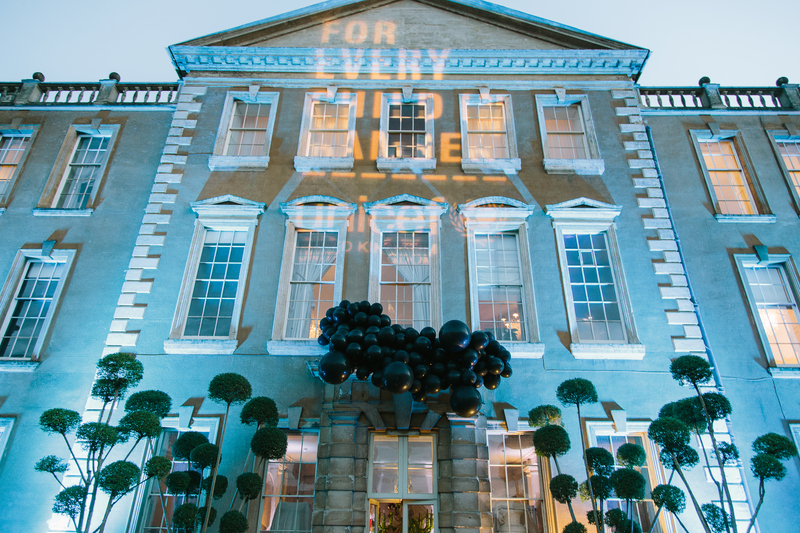 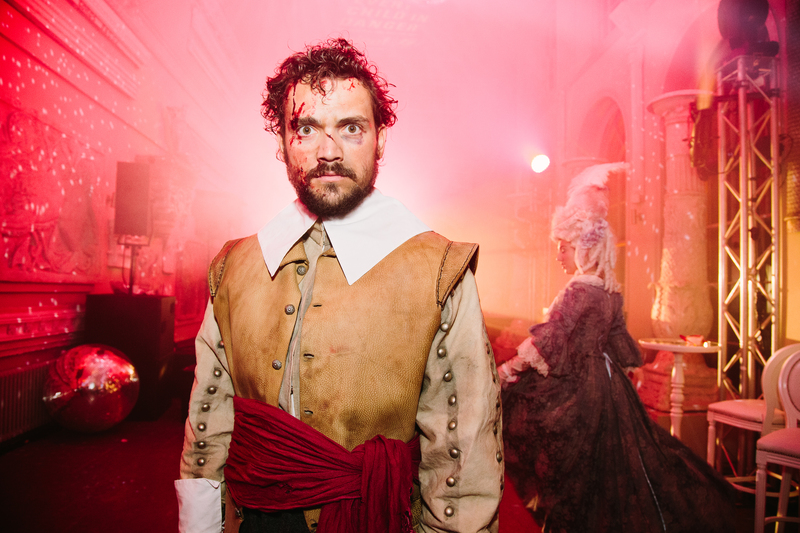 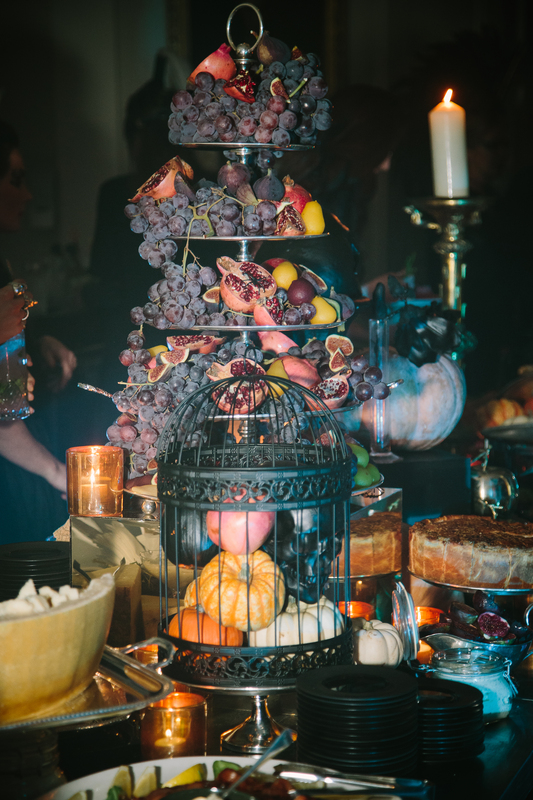 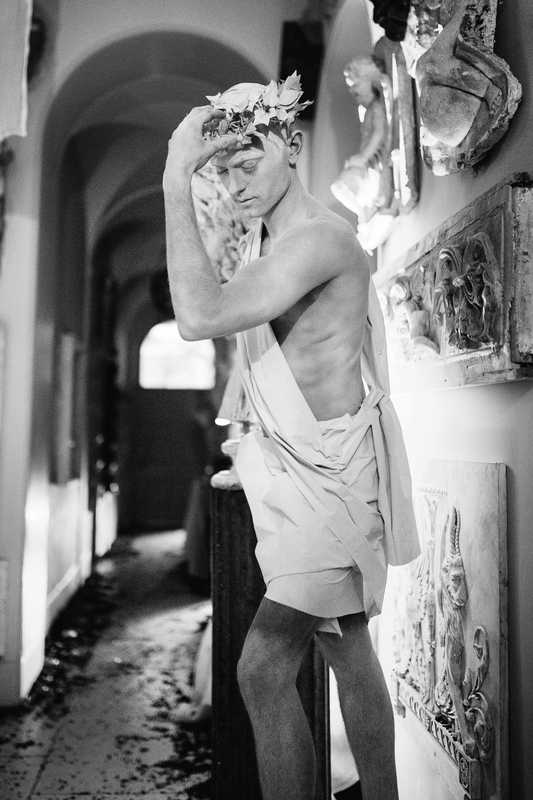 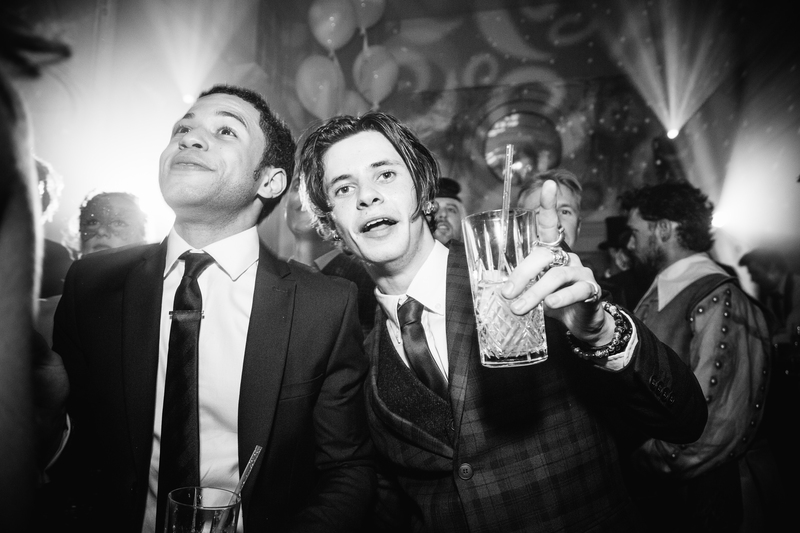 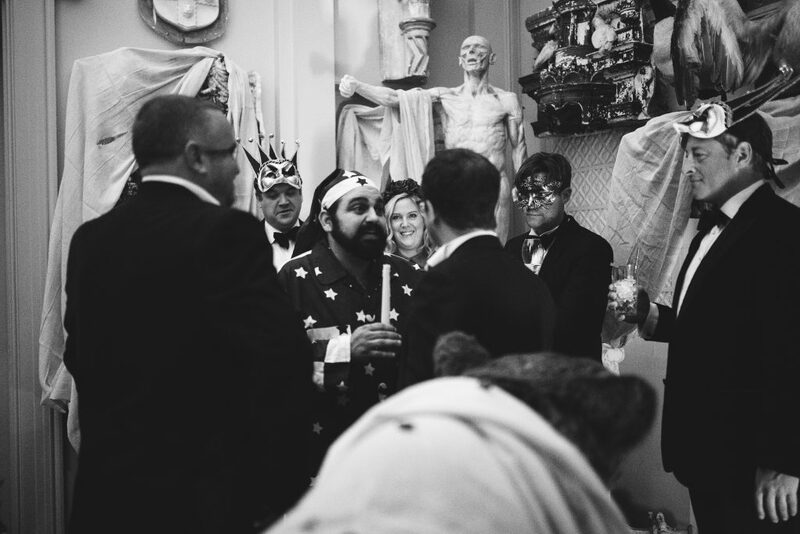 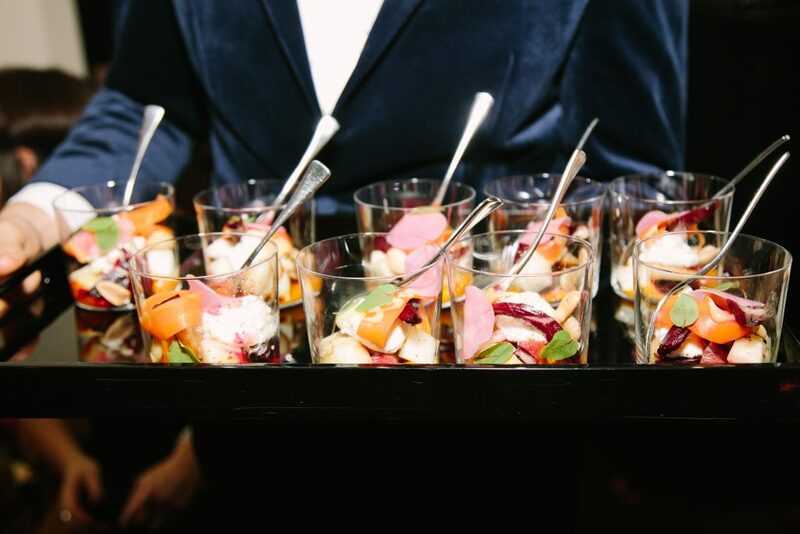 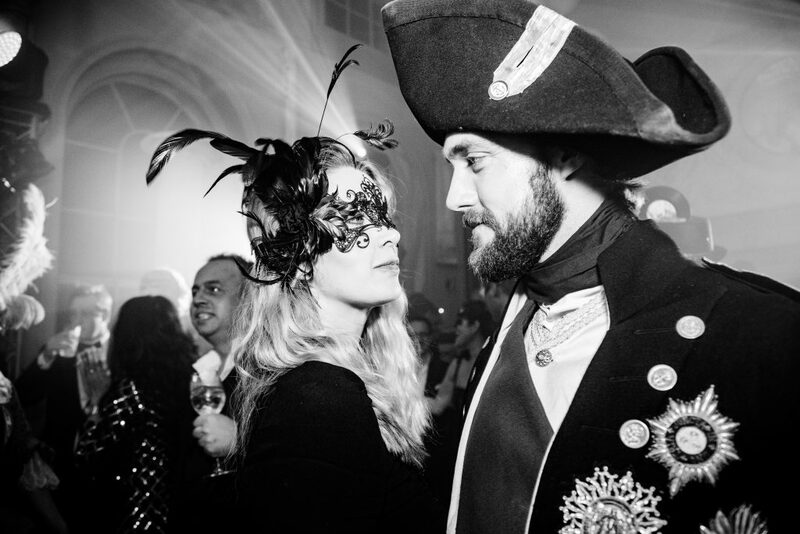 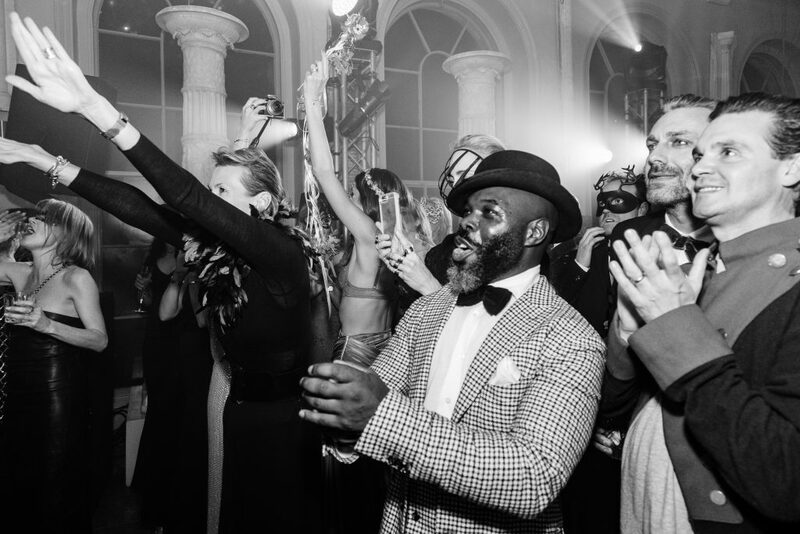 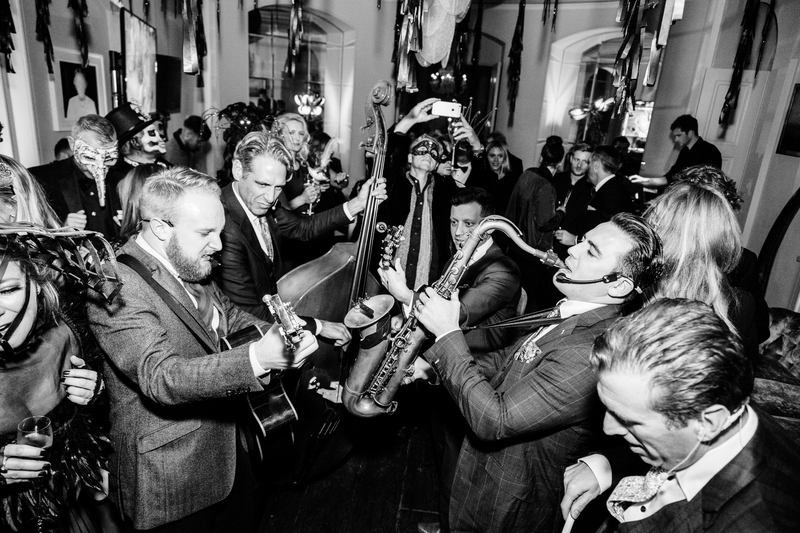 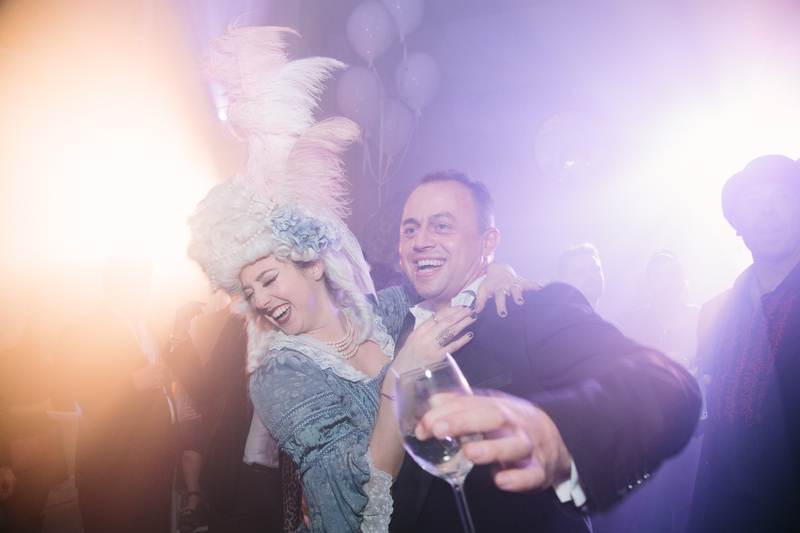 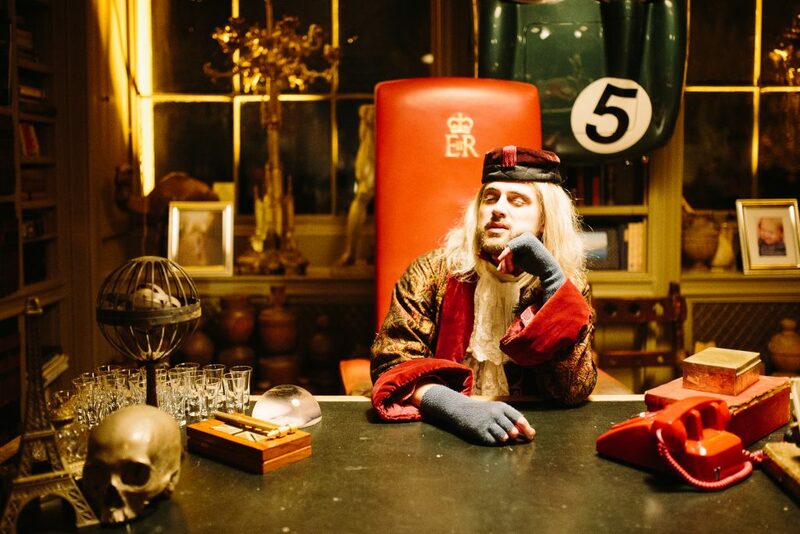 The night began with an immersive experience – Aynhoe’s story came alive – quite literally! 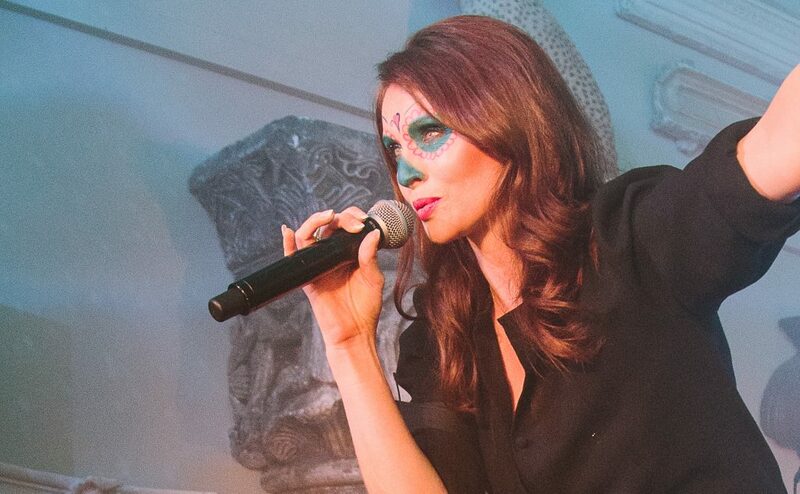 Tiggy Hawke treated guests to a intimate performance in the Salon. 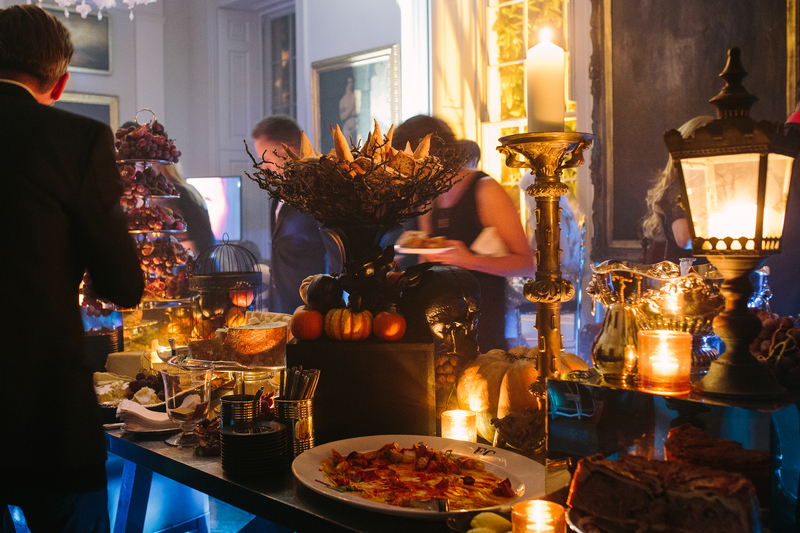 A feast for kings (dead or alive) took centre stage in the Dining Room by Last Supper and their attentive staff floated around with yummy bowl food. swoon! 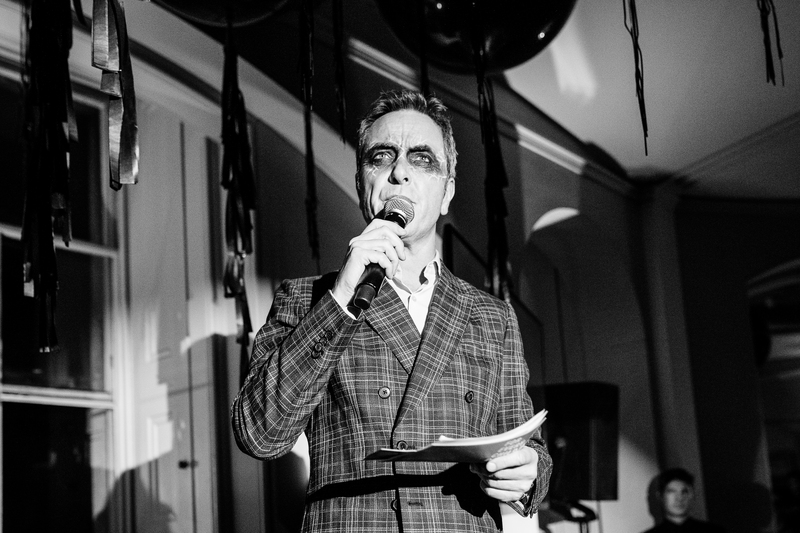 James Nesbitt opened the auction and made a wonderful (tear jerking) speech to remind everyone of the main focus of the event. 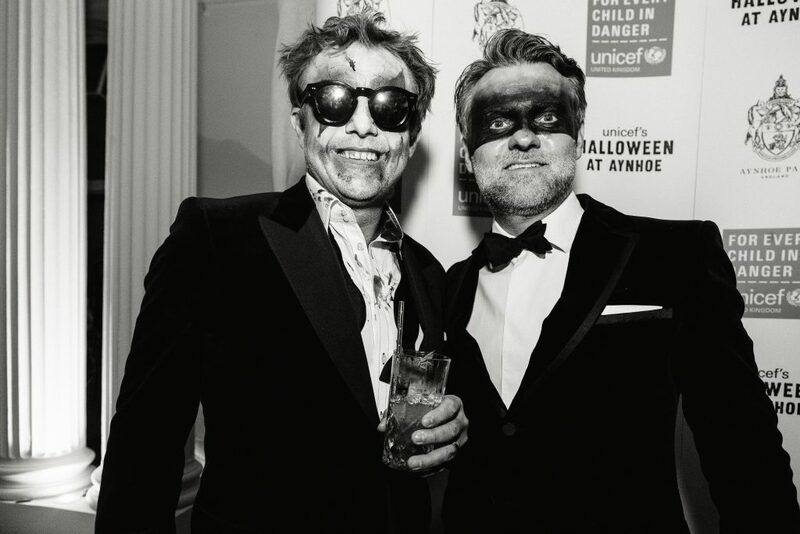 With his first hand experience he explained the important work that UNICEF do across the world. 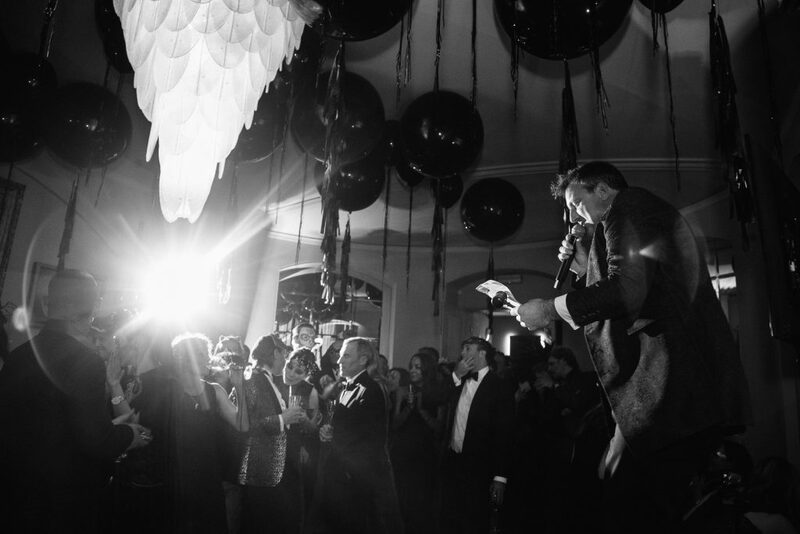 Hosted by Addison Gelpey the auction was full of priceless incredible experiences. 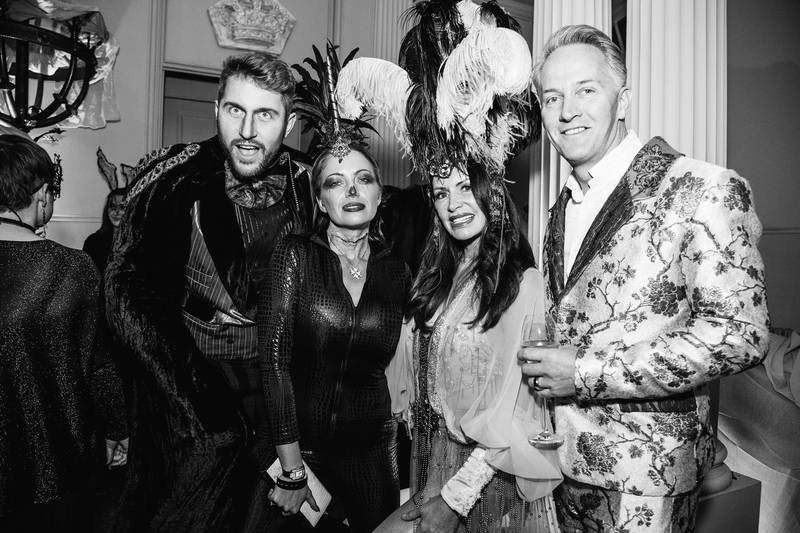 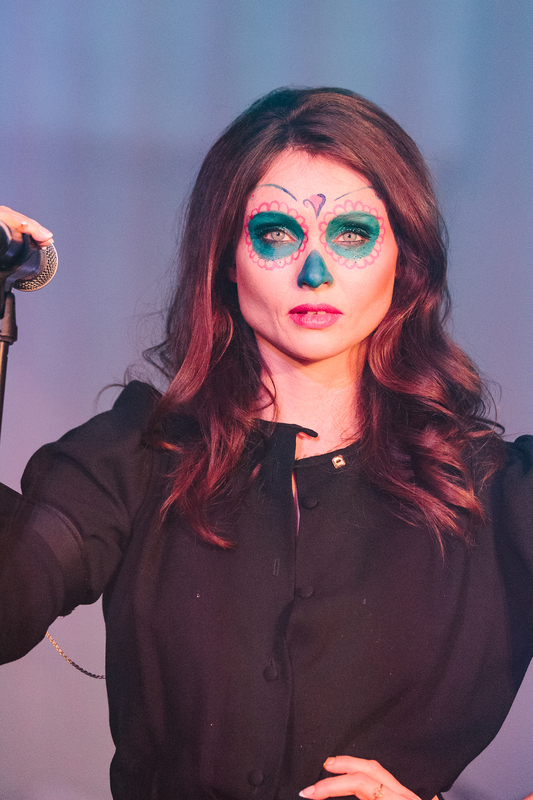 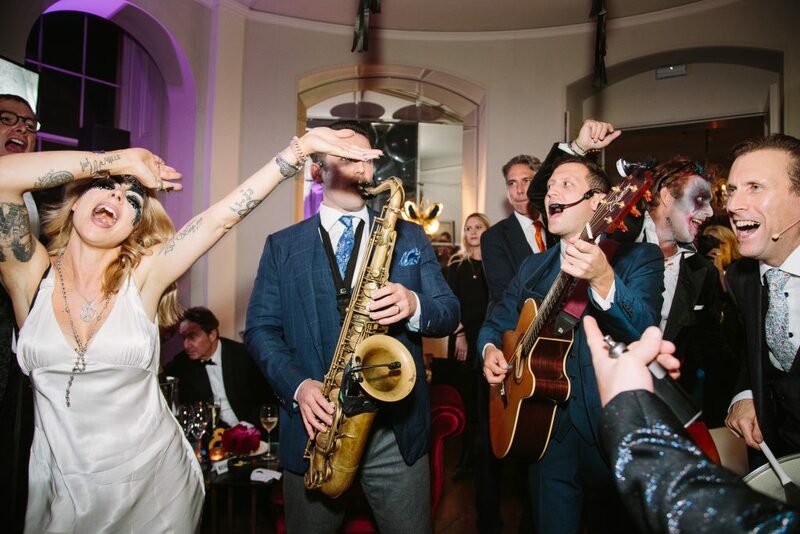 “Murder on the dance floor” proceeded the auction, in the Orangery as guest performer, Sophie Ellis-Bextor took to the stage followed by DJ sets by Hugo Heathcote and Spencer Mac.